Frasier: Yes, yes, it’s when you put a piece of hot toast on any surface, and it leaves droplets of dew behind. Haven’t you heard dad’s lecture on the evils of toast sweat? It’s the scourge of our times. That heating a plate before putting toast on it will avoid the dreaded toast sweat. Oven set to target temperature, then adjusted until 10 degrees celsius warmer than the target temperature, verified with a non-contact thermometer. Plate allowed to warm for ten minutes. Toast put into a pre-heated toaster and toasted to light brown via a timer setting. 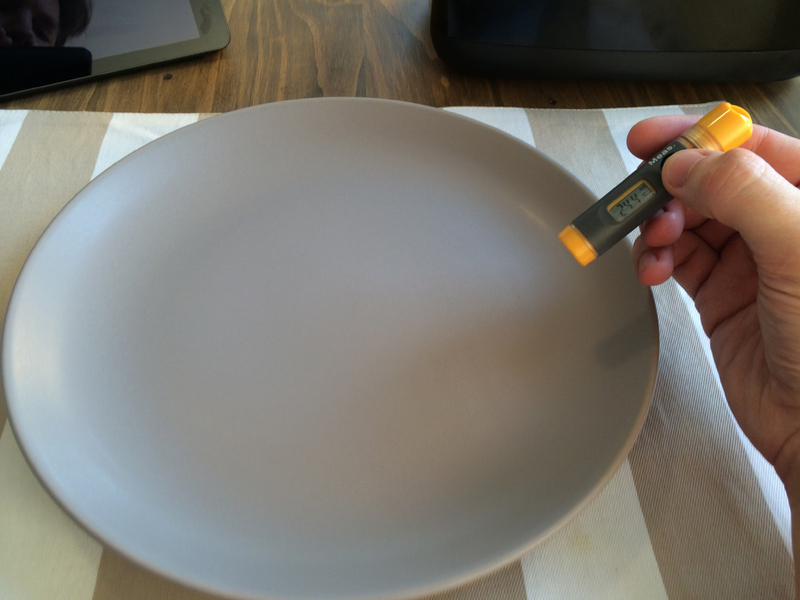 Plate temperature checked, and if needed, removed slightly early to allow to cool to target temperature. 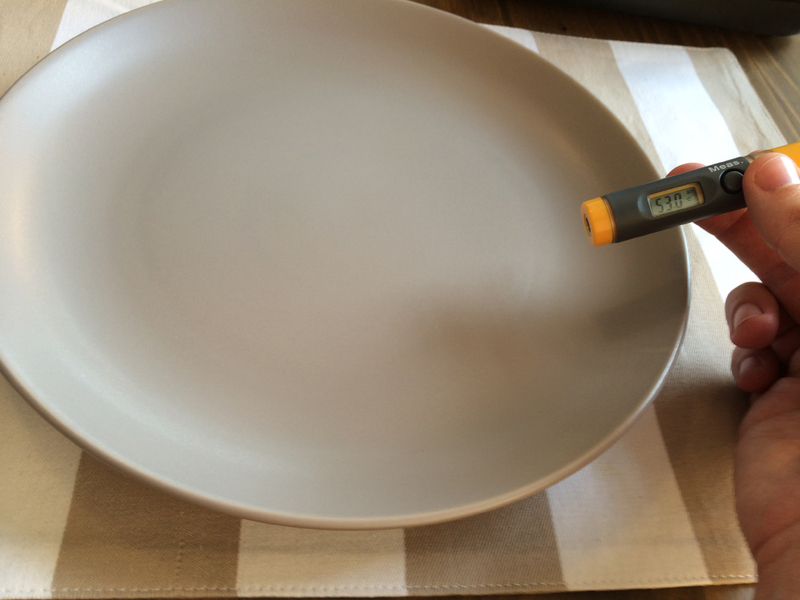 Temperature is checked again, photographed, and toast is placed immediately on the plate. After exactly two minutes, toast is removed for evaluation and photographs. Ambient temperature: 24 degrees celsius (75 fahrenheit), 80% humidity, closed room with no draughts. Notes: Toast had a slight curve, which influenced the result a little. May expose another possible solution via curved toast slicing. Further investigation needed. Notes: Droplets much smaller than in first test. Toast felt ever so slightly moist, as if it were being eaten outdoors on a dewy morning. Notes: Almost no moisture on plate. Toast felt like it had just come from the toaster, only at a more finger-friendly temperature. Needed butter. Toast sweat can indeed be eliminated via gentle warming of the plate before serving, with 53 degrees celsius (127 fahrenheit) being the ideal temperature in these tests. I have tentatively named this the Murray Temperature, and release this research for free in the hopes it benefits those affected. As with any good test, more questions were raised than answered, and I look forward to further experiments when schedule and hunger allow. For updates, follow @Murray, and please help spread the word (Twitter, Facebook, Google+).